Samuele is thirty and he has been collecting failures his whole life. He is a dreamer by profession, unlucky with relationships, always concerned not to be up to the standards. He would like to become a creative advertiser even though his projects are duly rejected. That is why he is a precarious and underpaid reporter during the day, while at night he is in charge of the little Astronomical Observatory of Perinaldo, which enables him to release his poetic soul. The Observatory is entitled to the famous astronomer Gian Domenico Cassini and is the magical place where Samuele looks at the stars, makes wishes and finds shelter when things don’t go well. So basically, always. He regularly bikes from his lighthouse-shaped apartment in the old city of Sanremo to the drafting department of SanremoPunto News, which is run by a crotchety and nostalgic journalist called Sergio Berti who hates the online headlines. One day, something unexpected happens to Samuele: a girl called Emma comes to the Observatory on San Lorenzo’s night. He falls in love with her and offers her a dinner at his place but he makes a single, huge mistake: he falls asleep. When he wakes up, Emma is gone and has left a mysterious trace behind her. How could he find a woman he knows nothing about? Samuele starts a complicate research in between a coffee and a focaccia with the old widow Miss Verrando, a glass of wine with Iacopo, who blames him of living in the clouds, and a cake with his baker friend Ilenia. Meanwhile, he gets an important chance to change his precarious life. 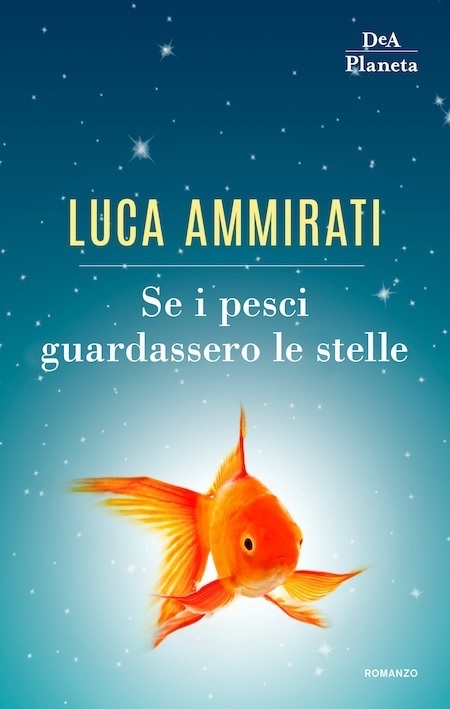 The important question here is: should not his destiny, the destiny of all of us, be different from the one of Samuele’s goldfish, that is forced to runaround in a bowl without having ever seen the sky?